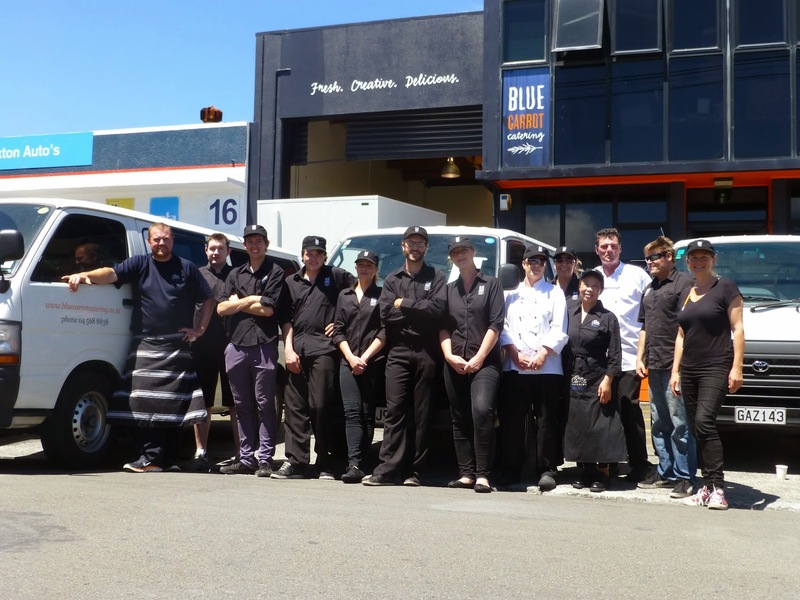 Today’s guest blogger is James Stuart, Office Manager for Blue Carrot Catering, a catering company in Wellington, New Zealand. One of the key ingredients to a successful event is that your food and drink are served on time (nothing fizzles out a cocktail party like an empty glass!). At Blue Carrot Catering, our job is to not only make mouth-watering food for all occasions, but to make sure that it gets to people where and when they need it. We’re one of the biggest corporate catering companies in Wellington, making 60 deliveries each day to everything from weddings and birthday parties (and occasionally serving canapes at the zoo). Getting all these tasty treats laid out on trestle tables and perched on cake stands around the city not takes both a team expert chefs and a team of Greg Murphys. Until recently though, we relied on a manual, time-consuming and inefficient means of getting food delivered to the right place at the right time. We used to give each of our drivers a piece of paper at the beginning of the day with a schedule and list of drop-off locations. This became quite a hassle if anything changed along the way. If a client’s address was different to the one listed, the delivery time or order changed, or the driver got stuck in traffic, we’d have to jump on the blower and let the customer or driver know what was going on. It was inefficient, to say the least, and made it hard to give customers exact arrival times for their food. To help us get a more accurate picture of where drivers are and make it easier to update information about deliveries on the fly, we started using Google Maps Coordinate. Maps Coordinate helps us manage our drivers and the way we schedule deliveries by plotting drivers on a map and making it easy to update jobs and see driver locations in real time. Now, instead of having a piece of paper with a list of the day’s deliveries, drivers have everything they need on their handset — from the route for their deliveries plotted out on a map, to a list of the day’s jobs. If a delivery address changes we can update drivers automatically, and if a customer calls to see where their delivery is, we can jump online and see exactly where it is and let them know if the driver is two blocks down the road, or two kilometres away stuck in a traffic jam. Maps Coordinate also integrates with our email and calendar system, Google Apps so we can plan and manage things like menus and rosters in a more integrated way. At Blue Carrot we pride ourselves on attention to detail and this includes being able to offer punctual and reliable deliveries. Since making the move to Maps Coordinate over a year ago we’ve not only been able to give our customers more accurate estimations of our delivery times, but we’ve been able to track the status of all our orders and benchmark our delivery times so our overall service is now better.